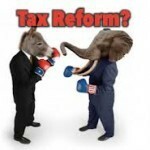 I highly doubt that either side will give much on their chosen structure for reform, and it is hard to imagine a combination of these approaches being melded together without a confusing mess being created.Â Additionally, as desperate as Republicans are to deliver lower taxes to their constituents, there is a feeling in the caucus that passingÂ a half-measure nowÂ will make it harder to re-visit the issue in future sessions to achieve their true goal.Â Conversely, Democrats would not mind getting their tax credit approached passed and fighting future battles with Republicans on increasing the value of the credits as they come up. After essentially controlling Iowa government for years with only a Senate majority, I don’t see anyway that House Republicans and Gov. 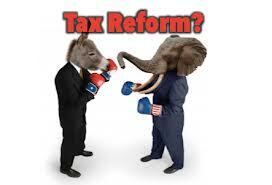 Branstad can cave and allow Democrats to dictate the structure of tax reform–the one issue Republicans unquestionably own over Democrats. As I’ve said here before, I do believe that Sen. Gronstal has a stronger hand than many realize.Â Much like the Fiscal Cliff debate late last year where CongressionalÂ Republicans were forced to give in, Iowa Republicans are in the same tough position of seeing taxes rise if nothing is done.Â This fact transfers a significant amount of leverage to Senate Democrats and Sen. Gronstal is operating accordingly.Â As long as Senate Democrats perceive they can hold a majority while taxes rise this is the posture that Republicans will face. Looking long term, if Republicans are unable to extract major compromises from Democrats in the conference Committee–which I don’t expect–I am comfortable with once again waiting on a bill altogether. Though it will be harder than in 2012 and is far from a given, with Branstad on the ballot in 2014 there is a shot at winning the Senate and a likelihood of holding the House. If a bill was done with Republicans holding both chambers and the Governors officeÂ clearly the dollar amount and scope of tax relief be much larger.Â Perhaps more importantly there would also be a significant flat tax component and an opportunity to end the system of automatic future tax increases we have now.Â The leverage that would be gained in future partisan tax scuffles by doing so would be worth it’s weight in gold. The main bill in focus can be read here (SF 295 )…and by the way I dare anyone to read this bill and tell me we can’t find a better way to write tax policy. In contrast, here is the Dix/Whitver optional Flat Tax bill offered earlier this session (SF 443 ).Â Should this approach to our taxes be taken most citizens interaction with the tax code could be limited to lines 1-35 of this bill.Â A welcome thought to a large majority regardless of Party. Delivering significant property tax relief to the hardworking taxpayers of Iowa has been one of our top priorities since gaining the Majority three years ago. Each year we have passed numerous proposals to the Senate, but unfortunately have not been able to reach a consensus. I am optimistic that this will be the year for true reform. This week the House passed a comprehensive tax relief proposal that provides significant property tax relief across Iowa and helps reduce Iowansâ€™ income taxes.Â The bill, SF 295, does not shift the tax burden between classes of property, but instead ensures that relief and reform is permanent, predictable, meaningful, and affects all classes of property.Â If no action is taken on property tax relief, Iowaâ€™s taxpayers are staring down the barrel of a $2.6 billion property tax increase over the next 10 years, with the majority of that falling to homeowners. Under our current state tax structure, residential property taxpayers pay approximately half of Iowaâ€™s property taxes.Â While our proposal provides property tax relief across all classes of property, residential property taxpayers would benefit the most under this plan. Currently, in terms of K-12 school funding, the state covers 87.5% of the school foundation formula.Â The remaining amount needed for our schools to operate falls on the backs of local property taxpayers.Â Our proposal increases the amount of state aid going to our schools and decreases the reliance on local property taxes.Â As a result, local property taxpayers will be protected from future tax increases. Our proposal would also implement a 20 percent rollback of taxable value on commercial and industrial property, which would occur over a period of four years, at five percent each year.Â This would provide approximately $339 million in property tax relief when fully implemented.Â Additionally, our plan would include a standing unlimited appropriation to backfill lost revenue from the rollback to local governments. As previously mentioned, the bill also aims to reduce Iowansâ€™ income taxes by giving individuals a choice to file under the current system or to use a 4.5 percent flat tax option.Â This legislation makes Iowaâ€™s tax system simpler, flatter, and fairer.Â Under this proposal, each taxpayer is given a choice that will enable them to do what makes the most sense for their own household budget. Finally, our proposal would send dollars back to Iowa taxpayers that have been collected in the Taxpayer Trust Fund.Â Only after the Legislature and Governor have agreed to a final budget that meets the priorities of Iowans and funds the stateâ€™s obligations, any excess revenue would be returned to Iowaâ€™s hardworking taxpayers. SF 295 passed the House with bipartisan support and was sent back to the Senate for their consideration.Â We look forward to continuing this discussion, listening to all ideas and proposals, and are hopeful a resolution will soon be reached that provides much-needed and real tax relief to all Iowans.